Discovering a new book is one of the joys of life! Right now bookstores everywhere are filled with books waiting for you to take them home, open the cover, and start reading. Whether you find a new book published just this year or one that’s older but new to you, take the opportunity of this month’s holiday to add to your home library. Children especially benefit from reading new and classic books—and thanks to the subject of today’s book, they have plenty to choose from! With a hearty “Welcome!” readers are invited to explore—and appreciate—the pages, pictures, words, and even individual letters that make up the book they’re holding. Back in time, a book like this didn’t exist. How far back? Well, let’s return to 1726…. “In those days of powdered wigs and petticoats, England was brimming with books.” There were exciting tales about imaginary places, sailing voyages, mysterious happenings, “pirates, monsters and miniature people”—for adults. What did kids read? Their books were all about teaching them how to have good manners and how to live a good life because death was always near. Scary stuff and not much fun at all! Image copyright Nancy Carpenter, 2017, text copyright Michelle Markel, 2017. Courtesy of Chronicle Books. “Balderdash!” John Newbery said. And others agreed. Two publishers issued books of alphabet rhymes and stories, and another published some books of nonfiction. But “John wanted his first book for children to be irresistible.” The books he created included pictures of fun children’s games, enjoyable ways to learn ABCs and other subjects, and fantasy stories. He even wrote a note to moms and dads to alleviate any fears. As customers bought books in the front of his shop, John created new books in the back. In addition to fiction books, he began printing books on math, science, and other subjects. With the books a success, John Newbery turned his thoughts and his press towards creating a magazine for children, and, finally, a novel. The novel was titled The History of Little Goody Two-Shoes and was a rags-to-riches story about a little girl who succeeded through “study, hard work, and kindness.” It showed children that they too could achieve their dreams. The History of Little Goody Two-Shoes was a hit in England and America. While the authors of John Newbery’s books were all anonymous or had “silly, made-up names,” it wasn’t hard for people to figure out who was really creating the books that brought their children so much joy and made their lives better. Image copyright Nancy Carpenter, 2017. text copyright Michelle Markel, 2017. Courtesy of Chronicle Books. An Author’s Note about John Newbery as well as a resources page follow the text. Kids will love Michelle Markel’s entertainingly informative book that takes them back to a time when the unthinkable was reality. Markel’s charming text is as infectious as John Newbery’s love of books, and readers will laugh at how kids’ books were once perceived. Her conversational tone and bemusement at the state of publishing at the time creates a warm reading experience—like a secret shared between friends. Nancy Carpenter infuses Balderdash! with the sights, dress, activities, and flavor of the time period in her pen-and-ink illustrations. Humor abounds, from the little boy overflowing with tears in the corner of the first page to a young John Newbery relishing the feel and smell of newly printed pages to parents pulling their children away from “dangerous” books. Along the way, kids will want to scope out all the details on each page. A variety of typefaces and sizes further enhances the humor and ambience of the book. Balderdash! John Newbery and the Boisterous Birth of Children’s Books would make a great addition to home libraries for kids interested in books, history, and innovation. Teachers will also find the book to be a perfect beginning for language arts or history units. 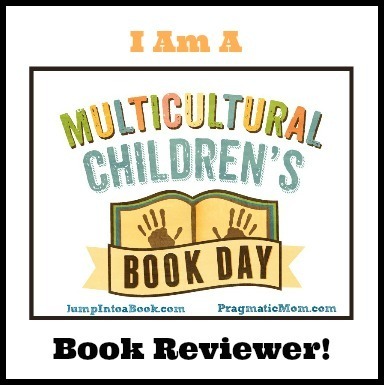 Discover more about Michelle Markel and her books on her website! 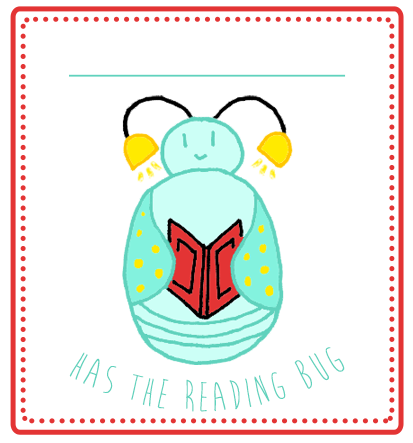 Do you have the reading bug like John Newbery? If so, here’s a bookplate and bookmark for you to print to show your love of books!